Get the Lyrics of Jiya Re Song From the Movie Jab Tak Hai Jaan, Starring Shahrukh Khan, Anushka Sharma & Katrina Kaif !!!! Jiya Jiya Re Jiya Re Jiya Oooo Hooooo oh oh..
Hey Get Up Everybody Wanna Be Her!!! Wanna See Her She Is Akira!!! Pankho Se Jab, Chhodoo Tohh!!!!! Udte Udte Phir, Ek Lamhaaa, Maine Pakad Liya Re...!!!! Jiya Jiya Re Jiya Re Jiya Oooo Hooooo oh oh!!!!!! 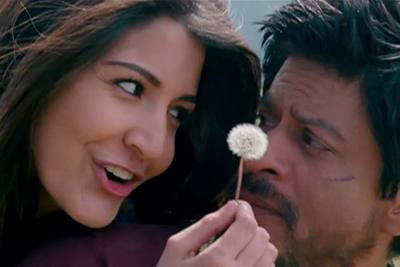 You can also get complete lyrics of the songs Saans Lyrics And Challa Lyrics here from the upcoming hindi movie Jab Tak Hai Jaan. Both the songs are just Amazing songs really nice and Good to hear it. I like it a lot that's why i written lyrics the songs, Hope You like it too!!!! !